Nurse With Wound collaborator peat Bog mines the cosmic debris of the asteroid belt on Be That Charge, a three-disc set of junglistic rhythms and chill room atmospheres chained to the drive of atom-powered guitars. Wildly schizophrenic, the songs on Be That Charge document the virtue of hearing music as a continuum where the term “genre” has little or no meaning. With an arsenal of beats, grooves and twisted samples, vocals that define the term “demented,” and a fuzz-wah guitar attack that recalls the glory days of Chrome, Bog at the very least has guaranteed Earthmonkey’s nomination for strangest album of the year. And why not, since Earthmonkey’s closest pop-culture ancestor would seem to be avant-Kraut deconstructors Faust, with perhaps a mutated DNA strand or two from those zany rock pranksters The Residents. The fiery title track, which opens the first disc, is a middle-eastern meltdown, pure and simple—a whirling dervish of breakneck percussion and guitar that reminds one of what the Legendary Pink Dots might’ve sounded like had Talvin Singh manned the drum kit. “Echo Base” and “Scaccia Pensieri” clearly demonstrate Bog’s debt to kraut rock. The former bubbles with the quirky charm of Cluster, its disembodied female vocals serving as counterpoint to Bog’s artful techno-clatter. Futuristic funk for the far-flung generation. “Scaccia Pensieri” features a hypnotic rhythm section behind which an impressionistic backdrop suggest the spirit of Future Days-era Can, though in this case the Great Dub in the Sky is accompanied by extemporaneous narration that roils with the sort of hyperverbal firestorms Kerouac and Ginsberg would be proud of. “When She Watches television” is, on the other hand, nearly accessible, approaching a quasi-conventional song structure—until Bog twiddles with his synths and FX pedals halfway through the piece, creating a black hole of warped sound that virtually swallows the listener. Bog’s forays into transpsychedelic space rock are well represented by “Hydraulic Bugger,” “E-Freeme Buzzbomb” and “Sapphire Wave.” These pieces zoom at light speed into the outer reaches of the galaxy, leaving the listener with the impression that Bog is perhaps more at home on Mars than the mother world. “Hydraulic Bugger” is a manic techno-thrasher with some very crazed guitar/synth interplay. Its indecipherable vocals—much like the early Chrome—creates a menacing atmosphere that is instantly reminiscent of some fantastically eerie science fiction B-movie from the 60’s. “E-Freeme Buzzbomb” is similar, though even more intense, as Bog’s screaming acid-soaked guitar riffage continuously b batters the listener into brain-damaged oblivion. Only with “Sapphire Wave” does the pace slacken a bit, its Floydian drone of electronics and feminine vox transporting us to shimmering worlds of pure ambient bliss. Taking up nearly half of disc two, “Sapphire Wave” comes across almost as an updated version of “Shine On You Crazy Diamond.” “Discobalistic” takes up all of the third disc and features a monolithic guitar riff floating over a swirling sea of synths and processed samples. 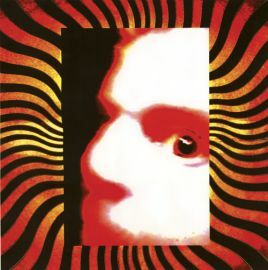 Though certainly not as inventive or zoned out as the tracks on the previous two discs, “Discobalistic” is of interest if only because it has the insistent aura of Aphex Twin with its sinister machine-driven groove that plays out like some impossibly bizarre soundtrack for a Manga feature. One thing is for sure: Be That Charge will keep your attention.